Take the first step on your way to a rewarding career in the electrical trades by applying for a union electrician apprenticeship. Earn while you learn! Our 3- and 5-year programs combine practical work with structured training to give you both a nationally recognized qualification and the experience you need for many different careers in the electrical industry. MVNECA member contractors support the residential and commercial electrician apprentice programs run by the Youngstown Area Electrical JATC and Warren Electrical JATC. Applications are taken year-round, and we're always looking for qualified candidates. 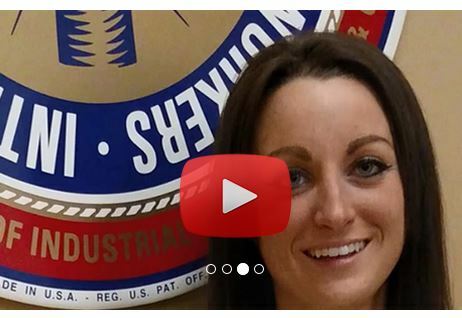 Visit ATradeThatPays.com to see video testimonials from some of the most recent classes, and learn more about the career opportunities an apprenticeship affords - and how to apply - by visiting the Youngstown JATC or Warren JATCs websites. At my school we wear our backpacks around our waist. One of the greatest things about becoming an electrician is that it’s standard practice to receive paid on-the-job training in the form of an apprenticeship. And as apprentice electricians gain more skills and experience over the four-to-six years it takes to complete an apprenticeship program, their earnings also increase accordingly. When looking for an apprenticeship program, the big decision every aspiring electrician faces is whether to join the International Brotherhood of Electrical Workers (IBEW) and become part of the long-standing tradition of unionized tradesmen, or to try to find a non-union shop looking to take on a trainee. Apprenticeship programs with unionized electrical contracting companies are coordinated through Joint Apprenticeship and Training Committees (JATCs), which have multiple offices in every state to cover virtually every major city and surrounding area in the nation. JATCs are sponsored through a partnership between local chapters of the International Brotherhood of Electrical Workers (IBEW) and the National Electrical Contractors Association (NECA). This partnership is known as the Electrical Training Alliance. Participating in an apprenticeship through the Electrical Training Alliance means becoming a life-long, card-carrying, dues-paying member of the IBEW union and getting all the benefits and collective bargaining rights that come along with that.